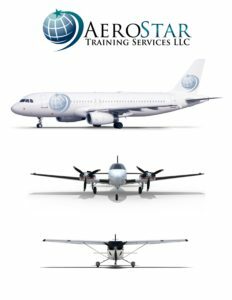 HELPING YOUR AVIATION CAREER DREAMS TAKE FLIGHT! This course, developed and taught by experienced pilot interviewers, will help you excel in your interview. You will learn how to organize your thoughts and present yourself in a positive and confident way to a potential employer. There are lots of professional courses that assist with interview prep. What makes AeroStar a better choice is that our facilitators actually hire pilots for a living and have personally been involved in the creation of airline pilot selection programs. No one knows how to get you hired faster than the interview prep staff at AeroStar. Call or fill out a catalog request form for pricing! If you have never flown a swept wing high performance jet before, you’ll want to enroll in this very informative course. Our experienced jet pilot instructors walk you through the key points of flying high speed aircraft. After completing 32 hours of classroom ground school you’ll apply what you’ve learned in one of our A320 level 5 FTDs. The course covers such key points as swept wing aerodynamics, high altitude performance, and flight physiology, multi-engine crew coordination, ATC handling, and more. We highly recommend this course for new jet pilots before enrolling in a type rating course! Note: Course is also known as ATP CTP although a different certificate will be obtained upon completion. This course allows you to observe actual A320 or B737NG simulator training. You will join an actual training crew as they brief their simulator session and then observe the simulator as the trainees are put through their lesson. This is a very cost effective way to learn how simulator training is accomplished while gaining a tremendous insight into the complexity of large aircraft operations and crew coordination. Once the session is completed, you’ll participate in the debriefing to help reinforce the learning experience. If you think flight simulation is realistic, wait till you experience the heart pounding scenarios encountered in our cabin simulators. As professional airline pilots, it is absolutely essential that we work well coordinating with our flight attendants and cabin crew. This course helps fully prepare you to excel as a flight leader while helping you gain valuable experience in aircraft emergencies. Every airline pilot should take this course to better understand what’s happening behind the flight deck door in an emergency. Taught by an experienced airline captain and airline CRM instructor, professional pilot courses like this one will arm you with real world tools and tips for improving communication between flight crew members, ATC, Company dispatch / operations, and all available resources. Learning how to work effectively as a team with the resources available will help you develop the synergy necessary to overcome any error chain, stop mistakes, and avoid hazardous situations. Our instructors provide written test prep for all the required FAA pilot certification tests. 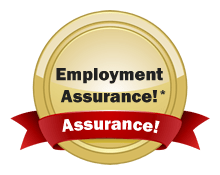 Your success is guaranteed by AeroStar or we will refund your money! To request our 2018 complete Course Catalog, please fill out the form. Note: Emails may periodically go to junk folders as a result of email provider spam filters. 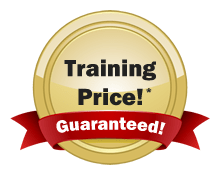 Please add info@aerostartyperatings.com and your point of contact’s email to your Safe Sender List in order to ensure receipt of important training emails from us. Use Your Veteran’s Education Benefits for Flight Training! WHY BECOME A FLIGHT INSTRUCTOR? How is the US Government Shutdown Impacting Flight Training? 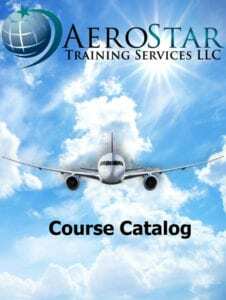 Join our mailing list to receive the Course Catalog from AeroStar Training Services.